In this episode, we dicussed the latest in Patriots news, and then we shared our thoughts on the Patriots schedule for the upcoming season. This entry was posted in Patriots Podcast and tagged 2016 NFL Season, Bill Belichick, Danny Amendola, Dion Lewis, Jimmy Garoppolo, Julian Edelman, LaGarrette Blount, Malcolm Butler, New England Patriots, Tom Brady on April 21, 2017 by Russ Goldman. Patriots Free Agency, Targeting Woods a Signal For Another Change? The Patriots are entering the legal tampering phase of free agency on Tuesday and will be busy buyers with $60 million dollars to work with. 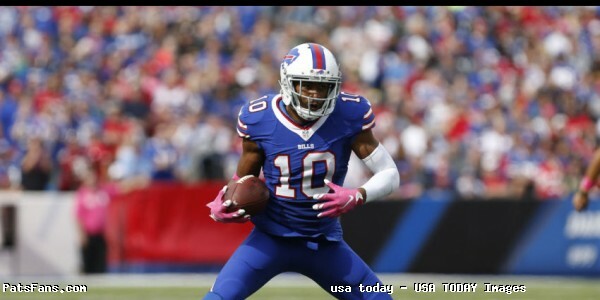 And although WR isn’t a particular position of need this spring, the news that they tried to trade for New Orleans WR Brandin Cooks and one of their targets in free agency is Buffalo WR Robert Woods was interesting to note. While everyone is talking about adding another tight end to complement Rob Gronkowski and replace Martellus Bennett in the two-tight end offense, could Bill Belichick be switching gears again and going to a three/four WR attack? More to that below. While Belichick was particularly effusive in his praise of Cooks during the summer after he shined in joint practices and a preseason game, that’s his M.O. He likes targeting players who play well against him. 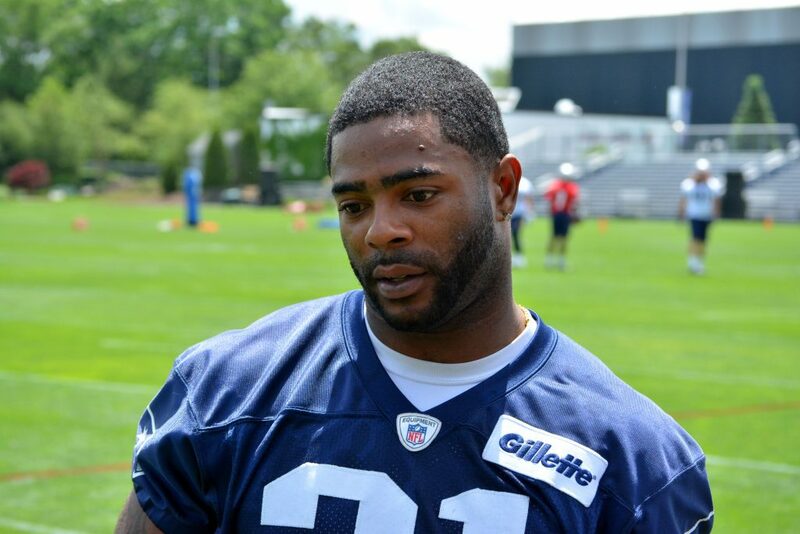 Cooks did it in 2015 and last summer in Foxboro where he schooled Malcolm Butler on the first day of practice against the Saints. The same is true for Woods who has always played well against the Patriots for the Bills despite not having a stellar group of quarterbacks throwing him the ball. Woods was taken in the 2nd round (41st overall), in the 2013 NFL Draft from USC. He’s 6’1, 200 pounds and while not considered a burner on the outside, he has decent speed and athleticism. But where he’s excelled is in his route-running skills, where he’s shown the ability to gain separation and has flashed very good hands. Woods caught 51 passes for 613 yards, hauling in more than 67 percent of the passes thrown his way in 2016 for the Bills. Bringing in Cooks or Woods certainly wouldn’t be great news for Danny Amendola. The 31-year old is certainly facing having his salary redone again but bringing in either one of these wide receivers could mean he’d be a cap casualty in New England. The Patriots would certainly like to get a bit younger at WR with both Amendola and Julian Edelman turning 31 this season. Cooks is more of an explosive receiver, but Woods excels in the areas that the Patriots love to work in, the short to intermediate parts of the field. And most importantly, he is very good at working the middle of the field. Watching the NFL Combine on Monday, one can’t help be impressed with the number of big corners coming out in the draft. These big guys are fast but the one area that they could struggle in is in the short area quickness, something the Patriots excel in. So, while everyone is now going to the two, big tight end offense, could Belichick and Josh McDaniels be switching things up and going to a more three or four wide receiver attack in 2017? Or is the team’s targeting of Cooks and Woods just them trying to get younger and healthier at the position. It is still much too early to tell that, but adding either one of these players in free agency may certainly be a clue that the offense will evolve again. Belichick is usually ahead of the trends in these things. This will bear watching as the spring and summer unfolds. 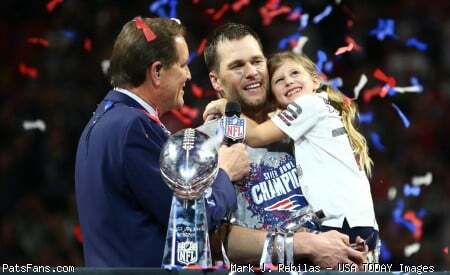 This entry was posted in 2017 Free Agency, Patriots Commentary and tagged 2016 NFL Season, 2017 free agency, 2017 NFL Free Agency, 2017 Patriots Season, Bill Belichick, Buffalo Bills, Chris Hogan, Danny Amendola, Julian Edelman, Malcolm Mitchell, New England Patriots, NFL, Patriots, Patriots wide receivers, Rob Gronkowski, Robert Woods, Tom Brady on March 7, 2017 by Steve Balestrieri. 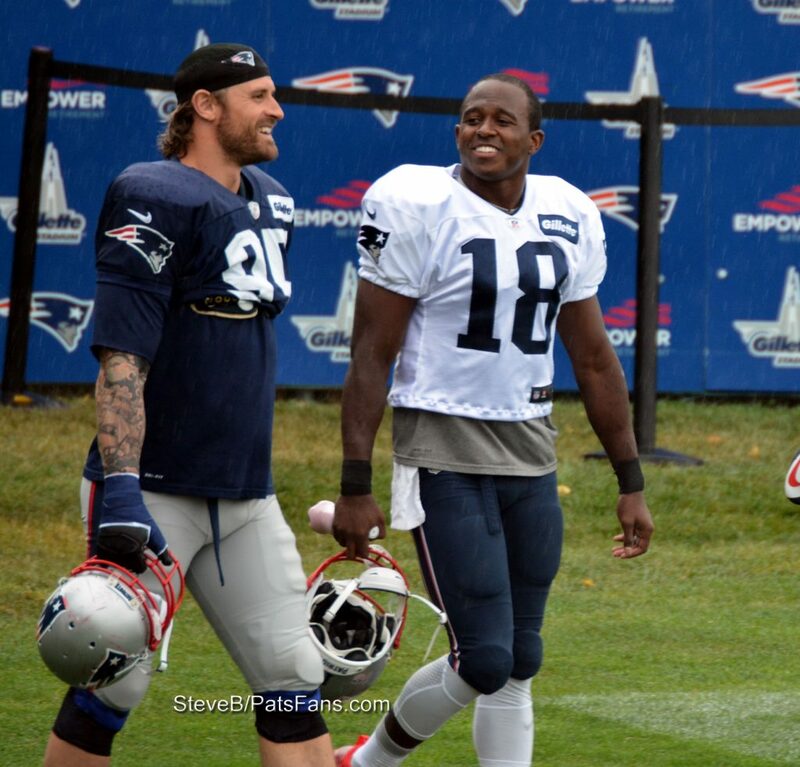 Good morning, here are Sunday’s Patriots news 3-5, & AFC East Notes. The Patriots released RT Sebastian Vollmer on Friday which wasn’t a surprise as he missed all of 2016 and was on the PUP List under the designation of a failed physical. The move will free up about $1.7 million dollars in salary cap space for the team. Vollmer went from a 7th round “reach” in the 2nd Round of the 2009 NFL Draft to be a solid right tackle for the Patriots until injuries took their toll on the 6’8, 320-pounder. All eyes are on Indy and the 2017 NFL Combine this weekend and as we watch the Under-Armor Olympics unfold, there are several players that will bear watching, especially from a Patriots perspective and we’ll get to those below. But the Combine has become a huge fan event as well as a media circus and it is an important part of the evaluation process. Teams have the tape on these players, but now they get to check out their medicals, interview the players and find out what makes them tick and see how they perform in a pressure packed environment. While most people salivate over the players’ times in the 40-yard dash, the Patriots have always favored the 3-Cone Drill. The 3-Cone is used to evaluate the agility, quickness, and fluidity of movement of players. It measures power and agility and closely mirrors football type movements on the field. 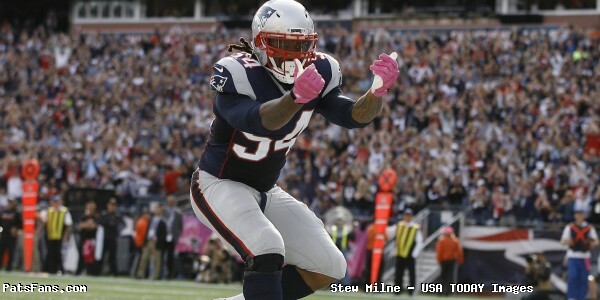 The Patriots are reported to be in deep discussions with LB Dont’a Hightower in working out a long-term deal, but the veteran LB may not do anything until he sees what he can bring in free agency. The team also has made an offer to DL Alan Branch and they’re waiting to see if he accepts it or opts for the open market. CB Logan Ryan and S Duron Harmon have informed the Patriots that they will test free agency and give the Patriots the right of matching those. But I’d consider both gone at this point. 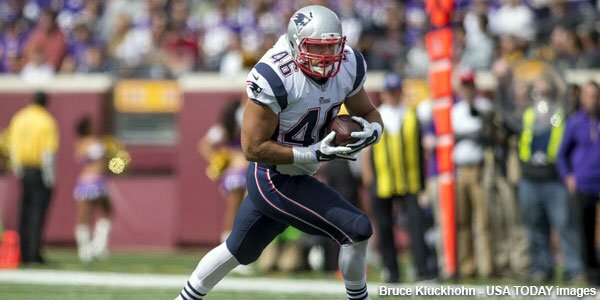 FB James Develin is rumored to be re-signed in the upcoming days and as of Saturday, there has been no word of any kind of movement in Malcolm Butler’s contract. The team did host free agent DE Jared Odrick last week and it was reported that he passed his physical but no contracts were being reported. While the rumors persist about Brandon Marshall, Jamaal Charles, and Adrian Peterson, don’t hold your breath there. WR isn’t a position of need and if they do, they’d no doubt opt for a younger player. And just as a reminder, in 2009 when Josh McDaniels was the Broncos head coach, Marshall refused to catch passes in practice and forced a trade to Miami because he couldn’t get along with McDaniels. Mutual interest? 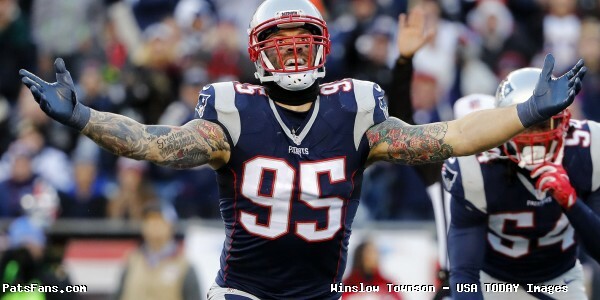 I doubt McDaniels wants him around. Time heals all wounds, but this one? Charles and Peterson are intriguing but will likely price themselves far out of range. The Patriots haven’t paid a RB $2 million dollars or more since Fred Taylor. Doubt either will come at a bargain. The Patriots are slated to pick (right now), at #32 in the upcoming NFL Draft. That could easily change and many times does but here are a few players that IMHO would fit for the Patriots. RB Jamaal Williams, BYU – With LeGarrette Blount a free agent, the Pats could use a dose of youth injected into the running game. Williams will probably be a late Day 2 (3rd Round) pick and is a physical downhill runner between the tackles. He’d fit well in the rotation with James White and Dion Lewis. He’s 6’1, 215, and is tough to bring down. RB D’Onta Foreman, Texas – Foreman had an outstanding 2016 for the Longhorns rushing for 2,028 yards with a 6.3 yard per carry average and 15 touchdowns. He’s big, 6’1, 245 pounds and can run between the tackles. He’s not much of a pass receiver, though. TE Adam Shaheen, Ashland – Who you say? The Patriots met with Shaheen on Friday night with the big, 6’7, 277-pound tight end from Division 2 Ashland. He’s surprisingly athletic for a big man and although he played against lesser competition in Division 2, he dominated. Check out some of his highlight tape. TE David Njoku, Miami – While most people agree that O.J. Howard is the best TE in the draft, he’ll be long gone by the time New England picks. Njoku is very athletic, has great burst off the line and runs tight, precise routes. Still a work in progress, especially blocking but has tremendous YAC potential. DE DeMarcus Walker, FSU – Walker has the versatility that Bill Belichick salivates over. He’s big for a DE, 6’4, 285 pounds and can play on the edge or kick inside as an interior pass rusher. Had 16 sacks and 21 tackles for a loss in 2016. DE Takarist McKinney, UCLA – McKinney needs surgery after the combine so he may drop into the mid rounds if NE wants to take a chance on him. He has a great motor, is strong at 6’3, 265 with a very good burst off the line. Still raw and doesn’t have great bend coming off the edge. LB Tim Williams, Alabama – Williams is a very talented player with some off-field red flags that may fall in the draft. Has tremendous burst off the edge with the necessary bend to get around tackles when blitzing. Has good lateral quickness and can drop into coverage although was used primarily as a pass rusher. LB Jayon Brown, UCLA – Brown is an undersized Will linebacker but can make plays from sideline to sideline and has good coverage and special teams’ skills. He may be an intriguing option in the middle rounds and is an active downhill player against RBs. S Jabril Peppers, Michigan – Many draft pundits have Peppers going to NE and his versatility is a big reason why. He can play SS or as a nickel linebacker and as a corner. He was used on offense as well, can run the ball, catch out of the backfield and return kicks. He’s a Belichick dream player, but he’ll probably go early. S Obi Melifonwu, UConn – Been harping on this guy since last fall. 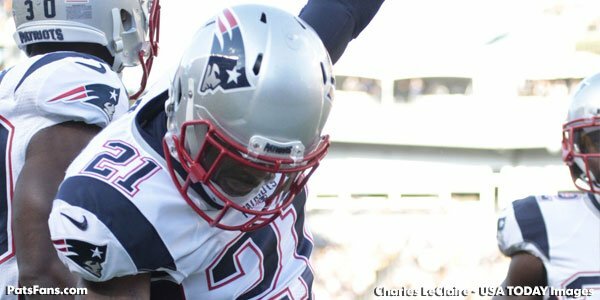 If Duron Harmon leaves in free agency, the Patriots will need another safety and Melifonwu would be a great pickup. Tremendous size (6’4,220) and athleticism. Would be best served as a Pat Chung type role close to the box and covering tight ends. The Jimmy G. “will they or won’t they” trade him carousel continues to spin at a furious rate. Adam Schefter of ESPN stated that the Patriots weren’t going to trade him anywhere this season which instead of putting the rumors to bed, simply accelerated them. Mary Kay Cabot of the Cleveland Plain Dealer and Jeff Howe among many others put out pieces that the dealing for Garoppolo may not be dead yet, while guys like Tom E. Curran have been adamant since the fall that he’s not going anywhere. Either way, until Bill Belichick says publicly that he’s off the market, (not likely), or they announce a deal for him, this story won’t die until the first night of the NFL Draft. Garoppolo may have inadvertently thrown gas on the fire with an Instagram post on Friday where he (again depending on your view), may have been waving goodbye to the Patriots fan base… May you live in interesting times. 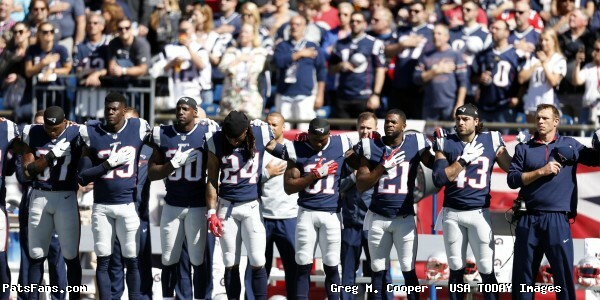 Does it seem a coincidence that every time New England wins a Super Bowl, the NFL tries to change a rule that the Patriots took advantage of during the season? Back in 2003-2004, Colts GM Bill Polian used his position as the head of the NFL Rules committee to change how the referees were calling illegal contact after Ty Law and the Patriots beat up the Colts WRs in the playoffs. That is another reason Law belongs in the HOF but that is a story for another time. In 2014, the Patriots used their personnel packages to thoroughly confuse the Baltimore Ravens in the Divisional Playoff game. Even to the point where the referees told the Ravens’ defenders, “Don’t cover 34”, But John Harbaugh got the league to change the rules on that, even though Baltimore used a similar tactic in 2015…hmm. Now the league wants to change the field goal block that the Patriots used twice to great effect in 2016. Shea McClellin timed a leap perfectly against the Ravens on Monday Night Football and blocked an attempt by Justin Tucker that was his first miss of the season. McClellin had another in the Super Bowl that should have been a block but the referees mistakenly blew the play dead and penalized McClellin for illegally vaulting over the center when it clear, he vaulted over the guard. Now the NFLPA and the league want to outlaw the play in the name of player safety. 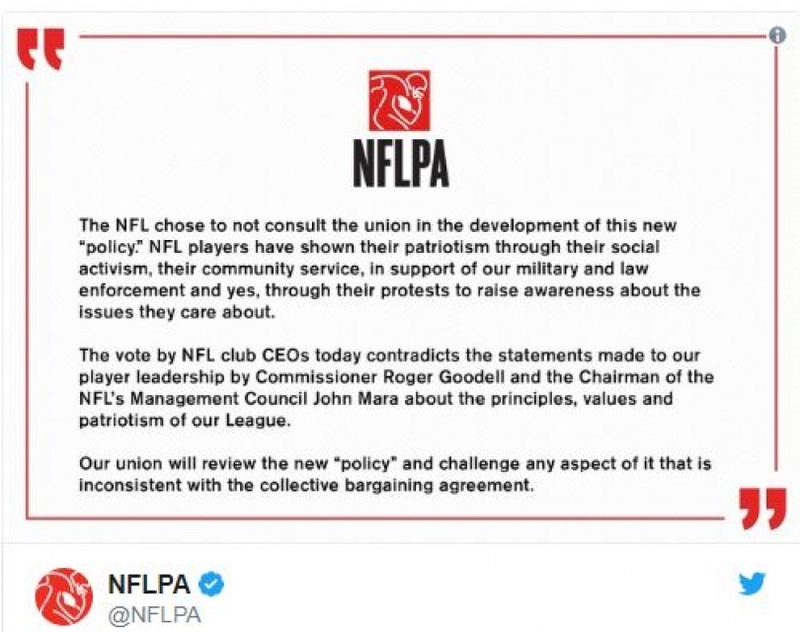 Which seems rather ludicrous with a number of other issues that both sides could work on to make the game safer….say Thursday Night Football? It seems the Steelers never miss an opportunity to complain about their losses to the Patriots. This one was no exception. Pittsburgh RB Le’Veon Bell said this week, that if he was healthy in the AFC Championship Game in New England that the Steelers would have won. Ah, I’d pump the brakes on that one Mr. Bell. While it is widely acknowledged that Bell is one of the best RBs in the league, his absence would have made no difference to the outcome on this one, unless he planned on playing in the secondary. Tom Brady did what he always does to Pittsburgh’s defense, he eviscerated them to the tune of 32-42 for 384 yards, three TDs and zero interceptions without Rob Gronkowski and put up 36 points on the Steelers. Pittsburgh had nine points until a garbage time touchdown with 3 minutes left. Was Bell going to make that big a difference? No. The QB carousel game continues, at least in the talking stage as the latest has Buffalo reportedly being interested in QB Trevor Siemian if Tony Romo ends up in the Mile High City this spring. Siemian, 25, started 14 games for Denver in 2016, throwing for 3,401 yards, 18 touchdowns, and 10 interceptions. New Bills offensive coordinator Rick Dennison held the same position for Denver in 2016 so Siemian would know the offense already and his integration would be seamless. However, the Bills still have to decide whether or not to pick up incumbent starting QB Tyrod Taylor’s contract option this spring. Buffalo has until March 11 to decide whether to exercise the option, which would trigger nearly $31 million in guaranteed money. Siemian, with cap hits of $650,000 in 2017 and $720,000 in 2018, would be a much more affordable, if a less dependable option. The Miami Dolphins GM is at the NFL Combine and his focus this spring is finding players that fit the team and have a love for the game. “We get to spend time with people face-to-face, the players, trying to get to know the core — do they love football, and the football intelligence and stuff,” Grier said to the Miami Sun Sentinel in Indianapolis. “Nowadays, with the money and what the kids are getting paid, you see a lot of these juniors leaving school early,” Grier said. “A lot of times now you’re not sure if it’s the right reason why they’re leaving. They all want to get to that second contract first. “But for us, that’s not important. We want to hear, ‘I love football. This is what I want to do.’” Miami has swung and missed on a few players recently and Grier is looking to rectify that situation by drafting football junkies, something Bill Belichick has long advocated with the Pats. The New York Jets have released veteran wide receiver Brandon Marshall, purging the bloated contracts of several veterans including Nick Mangold, Darrelle Revis, Nick Folk and Breno Giacomini, the Jets have plenty of gaps to fill. Appearing in 15 games, Marshall logged 59 receptions and 788 receiving yards led the Jets and had three receiving TDs. The moves so far have cleared $46 million dollars in salary cap space but with the draft upcoming, the Jets are willing to deal any pick. One area that the Jets have a big hole is at quarterback. Ryan Fitzpatrick and Geno Smith are free agents and that leaves them with Christian Hackenberg and Bryce Petty. Will they either reach for a QB early or try to sign a veteran free agent? Time will tell but it seems they’re doing a total house cleaning. This entry was posted in Patriots Commentary, Patriots News and tagged 2016 NFL Season, 2016 Patriots season, 2017 free agency, 2017 NFL Combine, 2017 NFL Draft, 2017 Patriots free agents, Bill Belichick, Buffalo Bills, Danny Amendola, Denver Broncos, Dont'a Hightower, Jabaal Sheard, Jimmy Garoppolo, Julian Edelman, Malcolm Butler, Miami Dolphins, New England Patriots, New York Jets, NFL, Patriots, Patriots edge rushers, Rob Gronkowski, Tom Brady, Trey Flowers on March 5, 2017 by Steve Balestrieri. Well this isn’t the news everyone was waiting for. The Patriots have informed Dont’a Hightower’s agents that they will not be using the franchise tag on him and that the Patriots LB will test the open market. ESPN’s Adam Schefter was the first to report that although New England will not tag Hightower, they still have plans to bring him back in a Patriots uniform. 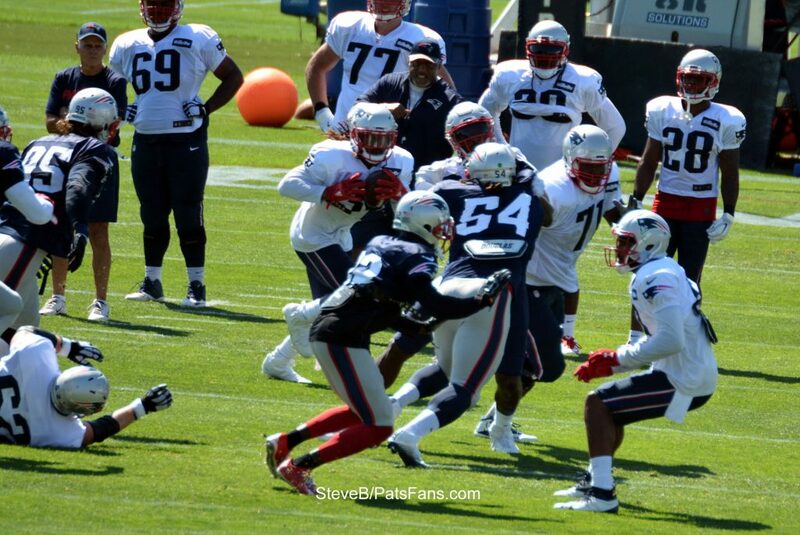 Hightower is the glue of the Patriots front seven and they frankly have no one on the roster at this point that is capable of replacing him. 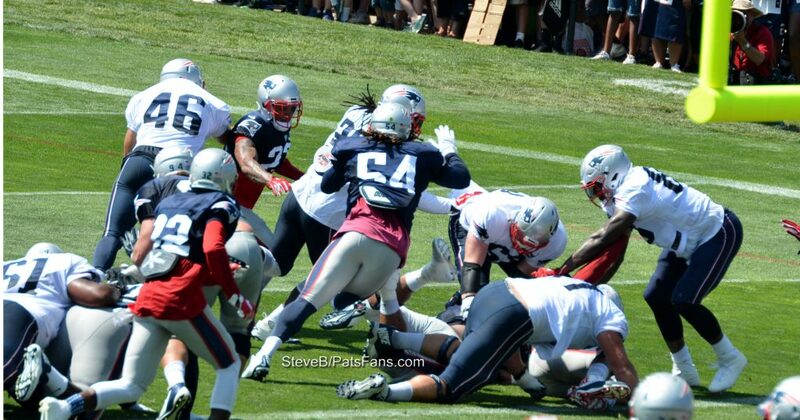 Hightower is big (6’3, 265-pounds), and very athletic for a man of his size. He’s a downhill, physical run-stuffer that is capable of blitzing up the A-gaps or from the edge and is surprisingly good in coverage considering his size. In both Super Bowl LI and XLIX, Hightower made big plays at crunch time to allow the Patriots to escape with the victory. In the latter, he stuffed Marshawn Lynch at the one-yard line which set up the Malcolm Butler interception that sealed the win. Just a few weeks ago, he stripped sacked Matt Ryan which gave the Patriots a short field, that resulted in a touchdown where the Patriots roared back from a 28-3 deficit to tie things up late in regulation before winning the first overtime game in Super Bowl history. Hightower will turn 27 in March and was a 1st round draft pick, 25th overall in the 2012 NFL Draft. He was named a captain this season for the first time in his career. He logged 65 tackles, 2.5 sacks, a safety, eight QB hits and 2 passes defensed this season. He was the AFC Defensive Player of the Week in Week 6 when he made 13 tackles, 1.5 sacks, 2 QB hits and a safety against Andy Dalton and the Cincinnati Bengals. 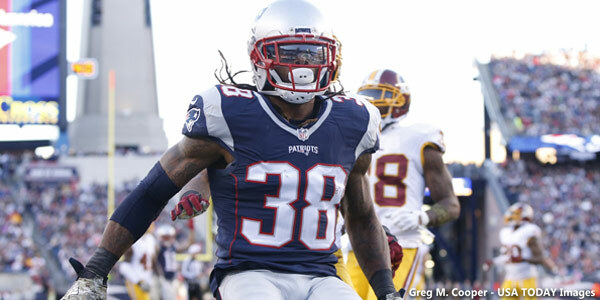 While the Patriots are justifiably concerned with Hightower’s injury history, he’s missed time in every season but 2013, they don’t have another player of his caliber at the position. The team still has nine days to work out a long-term deal with him. If he reaches free agency on March 9 at 4:00 p.m., he’s as good as gone. 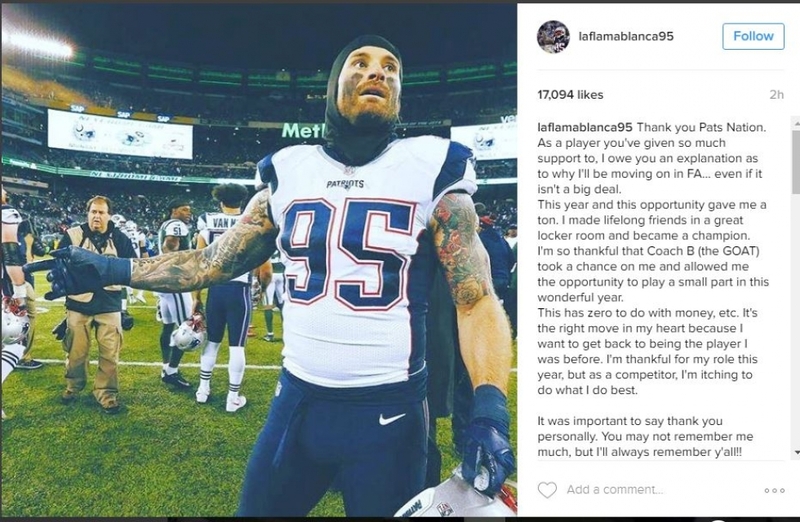 This entry was posted in 2017 Free Agency, Patriots Commentary and tagged 2016 NFL Season, 2016 Patriots season, 2017 free agency, 2017 Patriots free agents, Bill Belichick, Dont'a Hightower, Elandon Roberts, Kyle Van Noy, New England Patriots, NFL, Patriots, Patriots edge rushers, Patriots linebackers, Shea McClellin on February 28, 2017 by Steve Balestrieri.